As my wonderful husband exercised and ate his way back to health, I was stuck in a strange double life of healthy food provider and secret eater. And my weight was slowly, but stealthily, creeping up. And then my very best, dear and gorgeous friend got her breast cancer back and we all saw her valiantly lose the battle, Kath’s was the genetically predisposed kind of breast cancer, and as I watched my children grieve, I felt grateful for my luck of zero cancer gene in my family. I then realised that my family’s genetic bomb was heart disease. And had a life changing epiphany. I realised that though I was blessed with a robust constitution, I was putting my heart under undue duress, and decided to do my very best to make sure that my kids would never have to see me die before my time. The benefits were instant. Within a month I knew what proper hunger felt like. I knew that whatever I was craving on a fast day I could eat the next day. Bizarrely, I never woke up hungry after a fast and the art of self-restraint became natural. I will come back to this subject sometime soon, but I think what I’m trying to say is: find what works for you to ditch the pounds and just DO IT! And find an easy way to keep the pounds at bay…again I am into preachy territory, and I ain’t no preacher….so take this with a pinch of salt. But, a dog is a great weight maintenance programme. There are no excuses on bad weather days (btw there is no such thing as bad weather, just the wrong clothes) and there is no better incentive than your dog’s walking imperative. AND (btw I do not love the kids more than my pooch, though they may beg to differ) your dog does not have opinions; or demand transport at unreasonable times of the day; or give you a last minute warning that Mary milk allergy or Gerttie gluten free is coming to tea; or say no to a walk. 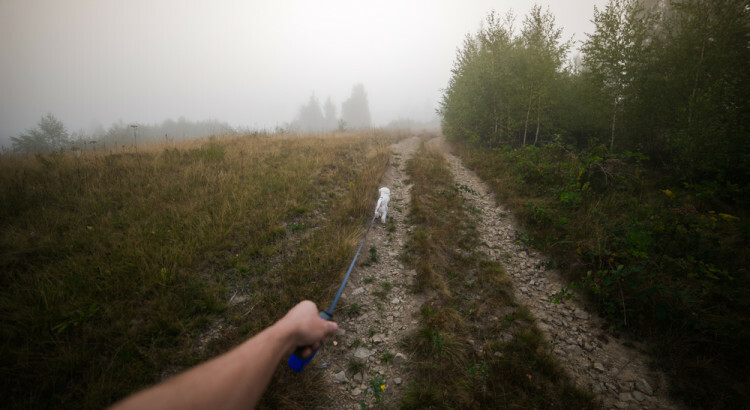 AND when you walk with your dog, you will not only be able to enjoy nature and sunshine and fresh air, but you will be able to participate in pure, unbridled, physically manifested joy.